Well, here we go again. As much as one tries to savor and make last Summer here on The Hill, it has a tendancy to sprint by us. You know, time flies when you’re having fun! Party on The Patio at Stone Bridge starts a week tonight, Sundays on the Barbie start this Sunday at Fern Hall Inn. The Lakeside Cafe is open at Oliveri’s Crystal Lake Hotel, the entertainment line-up has begun at the Event Center at The View Restaurant and Inn. Panorama and Scottish Glen golf courses are open and in great shape. The trails at Elk beckon us to tread them to the top. With Riverfest 2013 on Saturday, the 9th Annual Mountain View Garden Club Plant Exchange and Marketplace on Sunday – just too much to do! Plenty of opportunities to enjoy friends, nice food, tasty tunes, and great entertainment indoors or out! Ready? Set! Go enjoy yourself! 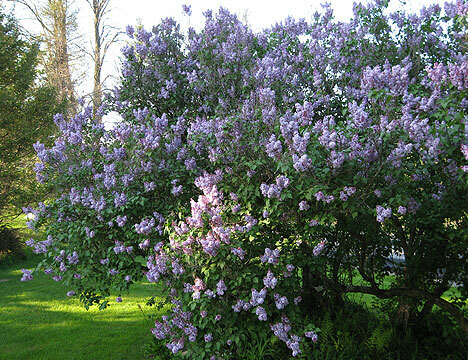 These lilac blooms have already weathered snow, sleet, and an electrical storm with wind strong enough to break a branch off the bush that they live on, yet, the petals remain steadfast. Their purple is paling, and soon, regardless of their resolve, it will be time for these flowers to rust, leaving their beauty and scent as a memory of early Spring. Flip-flops and shorts, busted out for the first really hot days earlier this week, will go back into the closet for most of the holiday. Forecasted to be cool during the day, and downright chilly at night, this holiday may be enjoyed from within the comfort of fleece. Luckily, plenty of music, food, and non-weather-dependant fun on and around The Hill this weekend. Check the list below, and choose how you want to kick-off your Summer 2013 season! Enjoy! Monday, it was Winter with cold and hail pelting the flora; snowflakes and apple blossoms swirling in the wind together at the same time. 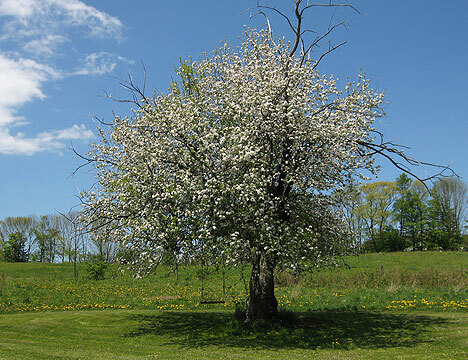 Tuesday it was Spring, with sun, clouds, and a stiff breeze that melted and blew away a strong frost; by afternoon it was dry enough to cut grass – even layered in fleece and gore-tex. Today could as well be a mid-Summer day, thermometer nudging eighty degrees, a pleasant breeze pushing picture perfect postcard worthy clouds overhead through an otherwise perfectly blue sky. The yellow flowered Trout Lily refused to be photographed. 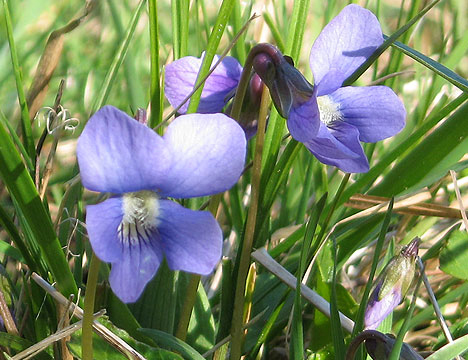 It’s companion, the Common Violet was not nearly so shy, and held it’s bloom high as it’s portrait was snapped. 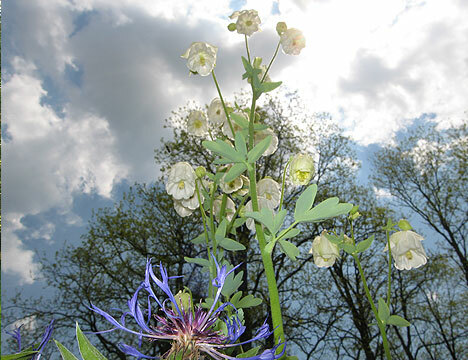 These flowers, harbingers of meteorological Summer, are a welcome site along the lowland paths. Frequent glances upward are prudent these days, and are often rewarded with sights of raptors and other large birds migrating along the ridges back to their summer homes. Some, like the Rough Legged Hawk will continue all the way to the Arctic! Stone Bridge Inn’s Spring Break is over and they’ll reopen this Saturday. Oliveri’s Crystal Lake Hotel re-opens their Lakeside Cafe, Fern Hall Inn resumes their Sunday Barbecue soon. The View Restaurant and Inn is offering new menu options. All these venues are offering specials for Mother’s Day. Figure out which one your Mom would enjoy the most, get in touch, make your reservations early, and make sure Mom’s Day is extra special this year!